Today my very first scientific publication is appearing in Geophysical Research Letters. During my summer at UVic, I helped out with a model intercomparison project regarding the effect of climate change on Atlantic circulation, and was listed as a coauthor on the resulting paper. I suppose I am a proper scientist now, rather than just a scientist larva. 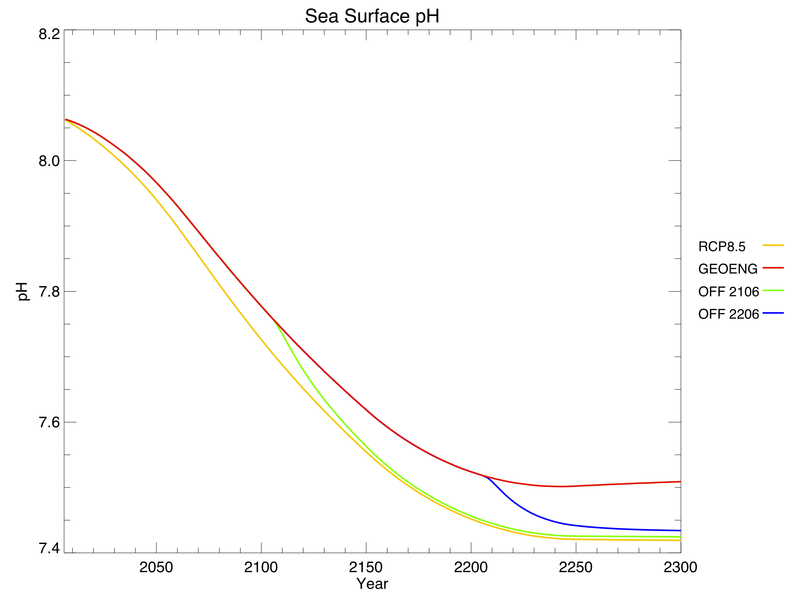 The Atlantic meridional overturning circulation (AMOC for short) is an integral part of the global ocean conveyor belt. In the North Atlantic, a massive amount of water near the surface, cooling down on its way to the poles, becomes dense enough to sink. From there it goes on a thousand-year journey around the world – inching its way along the bottom of the ocean, looping around Antarctica – before finally warming up enough to rise back to the surface. A whole multitude of currents depend on the AMOC, most famously the Gulf Stream, which keeps Europe pleasantly warm. Some have hypothesized that climate change might shut down the AMOC: the extra heat and freshwater (from melting ice) coming into the North Atlantic could conceivably lower the density of surface water enough to stop it sinking. This happened as the world was coming out of the last ice age, in an event known as the Younger Dryas: a huge ice sheet over North America suddenly gave way, drained into the North Atlantic, and shut down the AMOC. Europe, cut off from the Gulf Stream and at the mercy of the ice-albedo feedback, experienced another thousand years of glacial conditions. A shutdown today would not lead to another ice age, but it could cause some serious regional cooling over Europe, among other impacts that we don’t fully understand. Today, though, there’s a lot less ice to start with. Could the AMOC still shut down? If not, how much will it weaken due to climate change? So far, scientists have answered these two questions with “probably not” and “something like 25%” respectively. 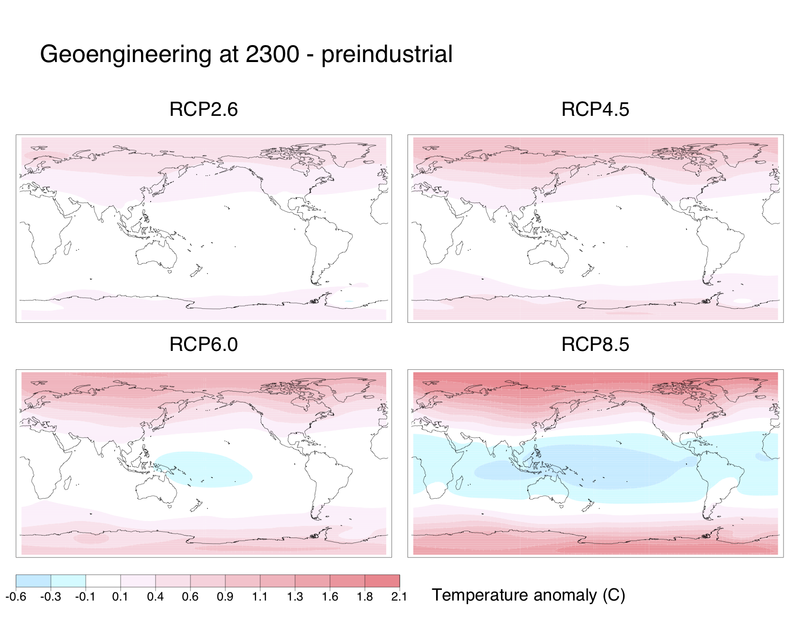 In this study, we analysed 30 climate models (25 complex CMIP5 models, and 5 smaller, less complex EMICs) and came up with basically the same answer. 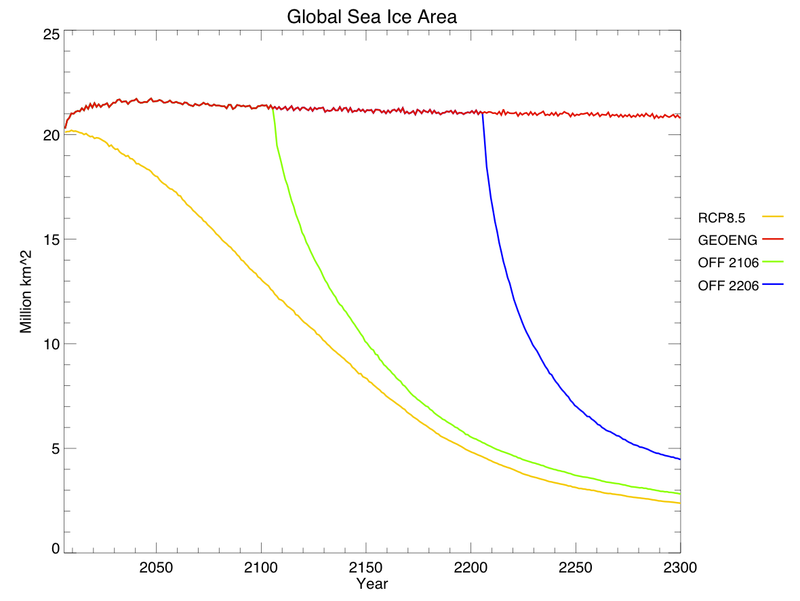 It’s important to note that none of the models include dynamic ice sheets (computational glacial dynamics is a headache and a half), which might affect our results. 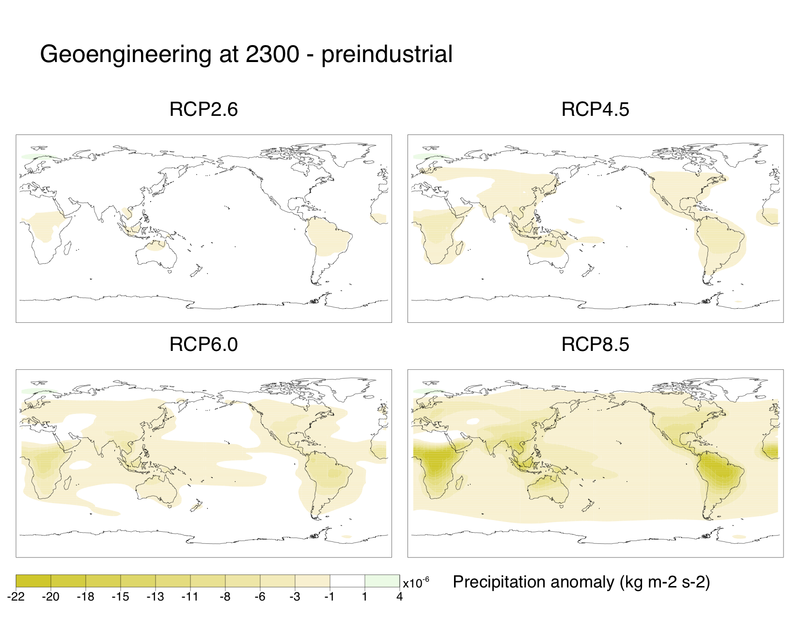 Models ran the four standard RCP experiments from 2006-2100. 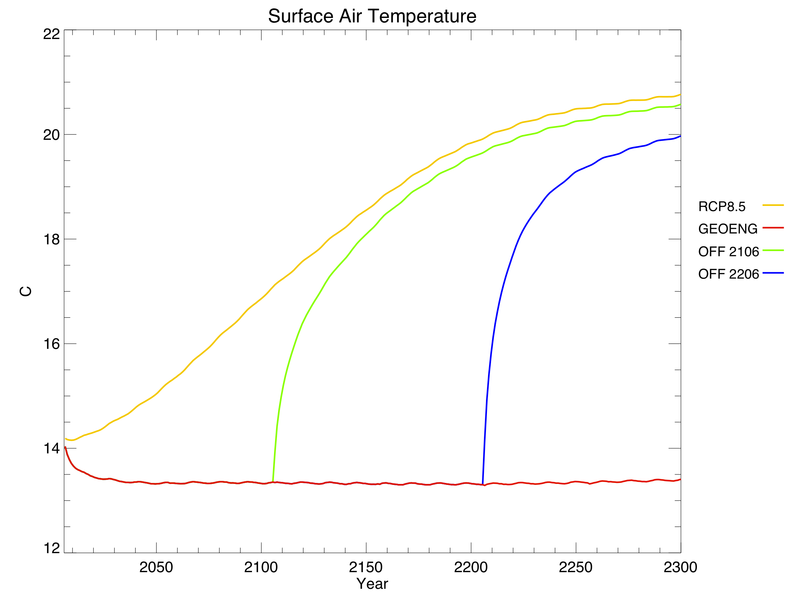 Not every model completed every RCP, and some extended their simulations to 2300 or 3000. In total, there were over 30 000 model years of data. We measured the “strength” of the AMOC using the standard unit Sv (Sverdrups), where each Sv is 1 million cubic metres of water per second. Only two models simulated an AMOC collapse, and only at the tail end of the most extreme scenario (RCP8.5, which quite frankly gives me a stomachache). Bern3D, an EMIC from Switzerland, showed a MOC strength of essentially zero by the year 3000; CNRM-CM5, a GCM from France, stabilized near zero by 2300. In general, the models showed only a moderate weakening of the AMOC by 2100, with best estimates ranging from a 22% drop for RCP2.6 to a 40% drop for RCP8.5 (with respect to preindustrial conditions). Are these somewhat-reassuring results trustworthy? Or is the Atlantic circulation in today’s climate models intrinsically too stable? Our model intercomparison also addressed that question, using a neat little scalar metric known as Fov: the net amount of freshwater travelling from the AMOC to the South Atlantic. The current thinking in physical oceanography is that the AMOC is more or less binary – it’s either “on” or “off”. When AMOC strength is below a certain level (let’s call it A), its only stable state is “off”, and the strength will converge to zero as the currents shut down. When AMOC strength is above some other level (let’s call it B), its only stable state is “on”, and if you were to artificially shut it off, it would bounce right back up to its original level. 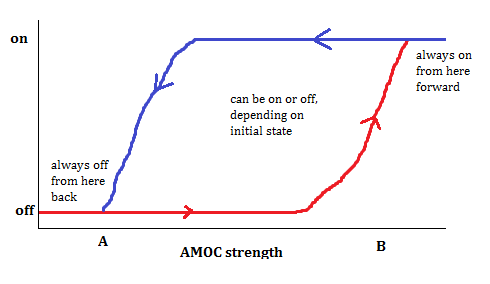 However, when AMOC strength is between A and B, both conditions can be stable, so whether it’s on or off depends on where it started. This phenomenon is known as hysteresis, and is found in many systems in nature. This figure was not part of the paper. I made it just now in MS Paint. Here’s the key part: when AMOC strength is less than A or greater than B, Fov is positive and the system is monostable. When AMOC strength is between A and B, Fov is negative and the system is bistable. The physical justification for Fov is its association with the salt advection feedback, the sign of which is opposite Fov: positive Fov means the salt advection feedback is negative (i.e. stabilizing the current state, so monostable); a negative Fov means the salt advection feedback is positive (i.e. reinforcing changes in either direction, so bistable). Most observational estimates (largely ocean reanalyses) have Fov as slightly negative. If models’ AMOCs really were too stable, their Fov‘s should be positive. In our intercomparison, we found both positives and negatives – the models were kind of all over the place with respect to Fov. So maybe some models are overly stable, but certainly not all of them, or even the majority. As part of this project, I got to write a new section of code for the UVic model, which calculated Fov each timestep and included the annual mean in the model output. Software development on a large, established project with many contributors can be tricky, and the process involved a great deal of head-scratching, but it was a lot of fun. Programming is so satisfying. Beyond that, my main contribution to the project was creating the figures and calculating the multi-model statistics, which got a bit unwieldy as the model count approached 30, but we made it work. I am now extremely well-versed in IDL graphics keywords, which I’m sure will come in handy again. Unfortunately I don’t think I can reproduce any figures here, as the paper’s not open-access. I was pretty paranoid while coding and doing calculations, though – I kept worrying that I would make a mistake, never catch it, and have it dredged out by contrarians a decade later (“Kate-gate”, they would call it). As a climate scientist, I suppose that comes with the job these days. But I can live with it, because this stuff is just so darned interesting. Ask most people to picture a scientist at work, and they’ll probably imagine someone in a lab coat and safety goggles, surrounded by test tubes and Bunsen burners. If they’re fans of The Big Bang Theory, maybe they’ll picture complicated equations being scribbled on whiteboards. Others might think of the Large Hadron Collider, or people wading through a swamp taking water samples. All of these images are pretty accurate – real scientists, in one field or another, do these things as part of their job. But a large and growing approach to science, which is present in nearly every field, replaces the lab bench or swamp with a computer. Mathematical modelling, which essentially means programming the complicated equations from the whiteboard into a computer and solving them many times, is the science of today. Computer models are used for all sorts of research questions. Epidemiologists build models of an avian flu outbreak, to see how the virus might spread through the population. Paleontologists build biomechanical models of different dinosaurs, to figure out how fast they could run or how high they could stretch their necks. I’m a research student in climate science, where we build models of the entire planet, to study the possible effects of global warming. All of these models simulate systems which aren’t available in the real world. Avian flu hasn’t taken hold yet, and no sane scientist would deliberately start an outbreak just so they could study it! Dinosaurs are extinct, and playing around with their fossilized bones to see how they might move would be heavy and expensive. Finally, there’s only one Earth, and it’s currently in use. So models don’t replace lab and field work – rather, they add to it. Mathematical models let us perform controlled experiments that would otherwise be impossible. If you’re interested in scientific modelling, spend your college years learning a lot of math, particularly calculus, differential equations, and numerical methods. The actual application of the modelling, like paleontology or climatology, is less important for now – you can pick that up later, or read about it on your own time. It might seem counter-intuitive to neglect the very system you’re planning to spend your life studying, but it’s far easier this way. A few weeks ago I was writing some computer code for our lab’s climate model, and I needed to calculate a double integral of baroclinic velocity in the Atlantic Ocean. I didn’t know what baroclinic velocity was, but it only took a few minutes to dig up a paper that defined it. My work would have been a lot harder if, instead, I hadn’t known what a double integral was. Computer models might seem mysterious, or even untrustworthy, when the news anchor mentions them in passing. In fact, they’re no less scientific than the equations that Sheldon Cooper scrawls on his whiteboard. They’re just packaged together in a different form. Scientists do not blindly trust their own models of global warming. In fact, nobody is more aware of a model’s specific weaknesses than the developers themselves. Most of our time is spent comparing model output to observations, searching for discrepancies, and hunting down bugs. If 1.5 C global warming above preindustrial temperatures really does represent the threshold for “dangerous climate change” (rather than 2 C, as some have argued), then we’re in trouble. 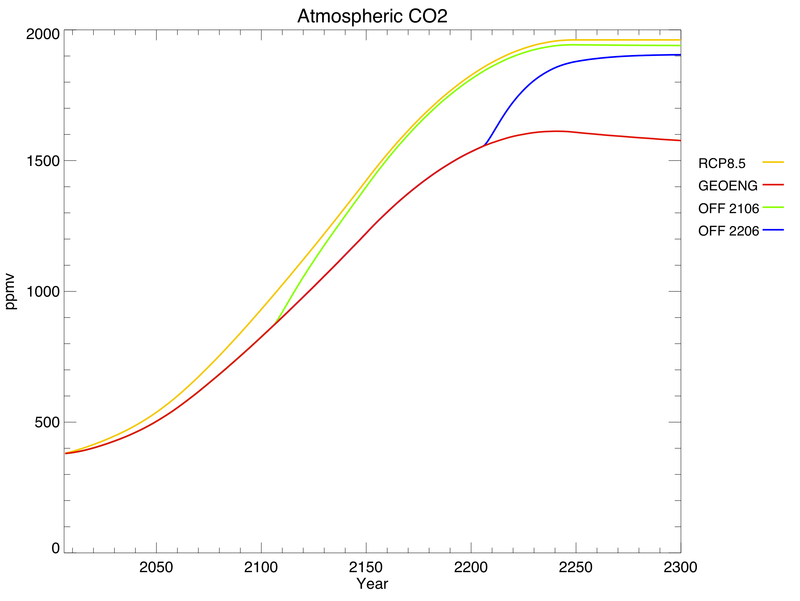 Stabilizing global temperatures at this level isn’t just climatically difficult, it’s also mathematically difficult. 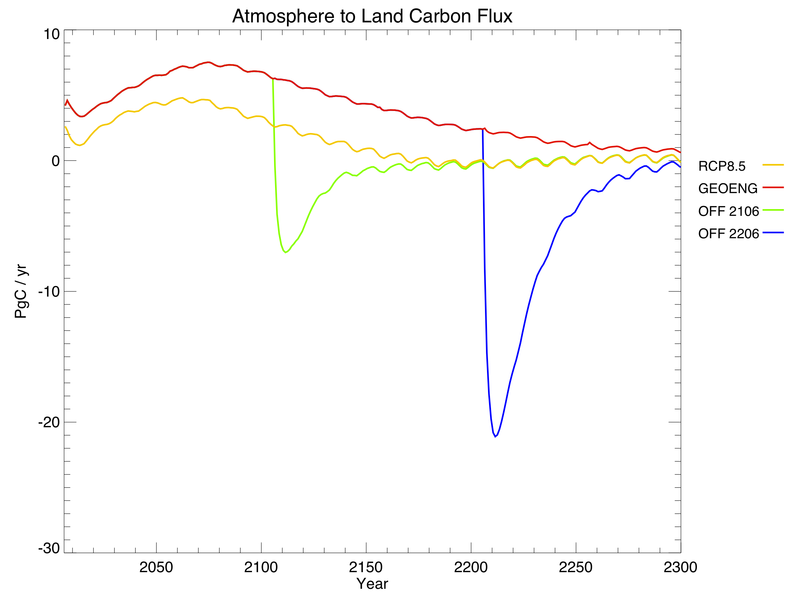 Given current global temperatures, and their current rate of change, it’s nearly impossible to smoothly extend the curve to stabilize at 1.5 C without overshooting. Sometimes computers do weird things. Some bugs appear for the most illogical reasons (last week, the act of declaring a variable altered every single metric of the model output). Other bugs show up once, then disappear before you can track down the source, and you’re never able to reproduce them. It’s not uncommon to fix a problem without ever understanding why the problem occurred in the first place. For anyone working with climate model output, one of the best tools to have in your arsenal is the combination of IDL and NetCDF. Hardly an hour of work goes by when I don’t use one or both of these programming tools in some way. Developing model code for the first time is a lot like moving to a new city. At first you wander around aimlessly, clutching your map and hesitantly asking for directions. Then you begin to recognize street names and orient yourself around landmarks. Eventually you’re considered a resident of the city, as your little house is there on the map with your name on it. You feel inordinately proud of the fact that you managed to build that house without burning the entire city down in the process. 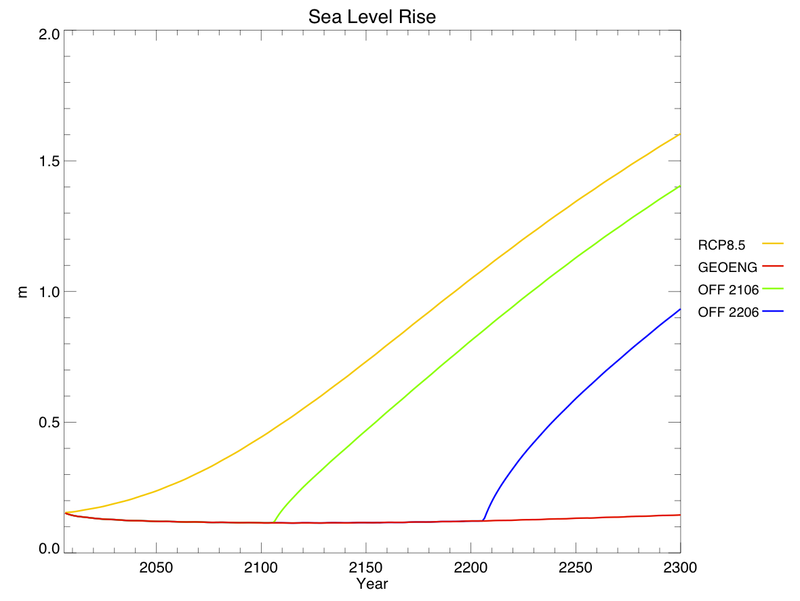 The RCP 8.5 scenario is really, really scary. Looking at the output from that experiment is enough to give me a stomachache. Let’s just not let that scenario happen, okay? It’s entirely possible to get up in the morning and just decide to be enthusiastic about your work. You don’t have to pretend, or lie to yourself – all you do is consciously choose to revel in the interesting discoveries, and to view your setbacks as challenges rather than chores. It works really well, and everything is easier and more fun as a result. Climate models are fabulous experimental subjects. If you run the UVic model twice with the same code, data, options, and initial state, you get exactly the same results. (I’m not sure if this holds for more complex GCMs which include elements of random weather variation.) For this reason, if you change one factor, you can be sure that the model is reacting only to that factor. Control runs are completely free of external influences, and deconstructing confounding variables is only a matter of CPU time. Most experimental scientists don’t have this element of perfection in their subjects – it makes me feel very lucky. 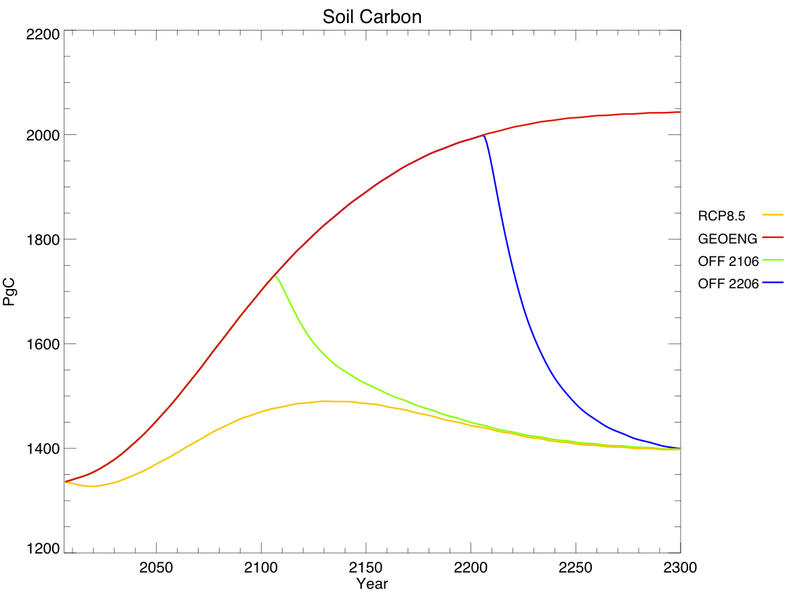 The permafrost is in big trouble, and scientists are remarkably calm about it. Tasks that seem impossible at first glance are often second nature by the end of the day. No bug lasts forever, and no problem goes unsolved if you exert enough effort.